It’s 3.30 on an autumn afternoon with a nip in the air but it is warm in the BH. A notice outside says ‘Sry we are full for Sunday lunch’. There’s a jolly atmosphere in this ancient village pub with oak beams and a stags head adorning the chimney above the fireplace, which burns slowly. There are glasses of wine, lager and ale in amongst the Prosecco flutes and a crowd of older men drink at the only bar. There is apparently a late celebration for a local with presents in attractive wrapping paper scattered around, waiting to be appreciated. All the bar tables have reserved signs on them, mostly left over from the earlier lunch shift. The owner is again overseeing its operations after the last leaseholder left the pub in much reduced circumstances. All the people here, except two persons stood at the bar are now sat down to a second sitting, are celebrating one of their number. The presents remain unopened. It quietens down as the enormous Sunday lunch is eaten; roast beef, roast pork or nut roast is the menu. The pub has three real ales, all from breweries within 30 miles from here. It’s good to see a leaflet posted to the right of the bar advertising a book which focuses on the Survival of the English Village Pub. A third local joins the other two at the bar as the windows steam up due to the combination of cold air and warm lunches colliding. A third of a bottle of pinot Noir is ordered from Annette and a few Prosesso glasses are raised to wash down the traditional Sunday Lunch. This particular party drink little ale unlike the barflies who drink real ale and discuss the previous day’s rugby internationals. This scene reflects the village as it has done for hundreds of years, with pictures of the pub in past times and in different weathers, as a mixed social environment and to illustrate this, two locals discuss the surprise resignation of the village cricket captain. 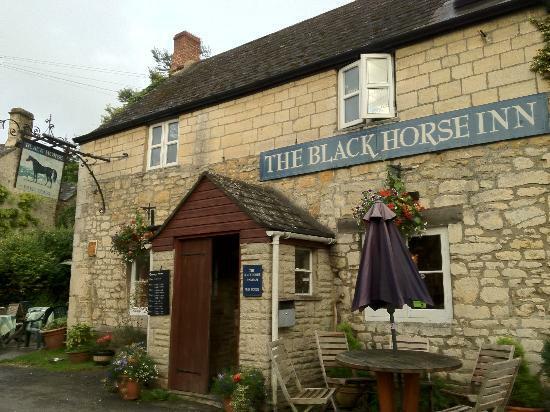 This is a wonderful village pub going through hard times. It is now only open on weekday evenings (Tues-Fri) and all day Saturday and Sunday. Food is only available at weekends. One wonders whether a village buy out is of interest, the advantages of which could be: a 3 year tax free on the initial investment; an investment in a property that should increase its value; benefiting from an abundance of local goodwill in renovating the pub and renewing its popularity and lastly a local benefit for house owners in the village for a pub adds about £20k to the value for of a property. There are a number of organisations who will assist this process and provide some initial grants such as the ‘Pub is the Hub’ organisation and the Plunkett Foundation. The Red Lion at Arlingham and the Fleece at Hillesley are both community owned. A couple in well-dressed country outfits with two dogs arrive and sit in the comfy window seat with a great view of the main bar and the warm chatter of a wonderful village pub. They apparently live in Cheltenham but use their weekends to walk in the local valleys dropping into local village pubs. 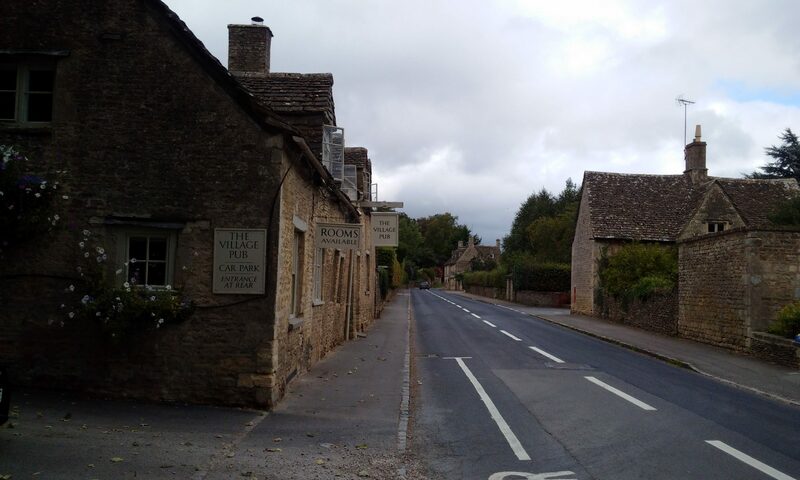 Village pubs need to be destination pubs as well as locals if they are to survive.